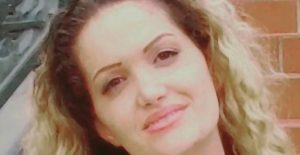 Iran (MNN) — At the beginning of the month, Maryam Nagash Zargaran, a Christian convert from Islam, was released from prison after over four years of captivity. She had been charged by the Iranian State of taking actions against national security. 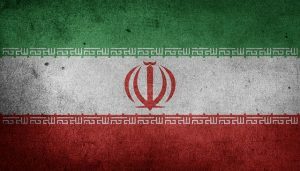 Iran is listed as number eight on the Open Doors World Watch List which ranks the worst nations to live as a Christian. In a Muslim country like Iran, converting from Islam is not looked upon favorably. 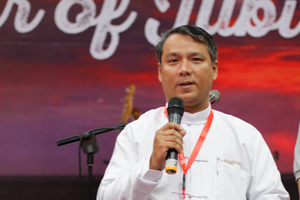 These converts often face severe persecution. Any Christian actively sharing their faith is viewed as a threat to the state. Global Catalytic Ministries is well aware of the dangers Christians face in Iran. Their tagline is “Transforming Muslims Worldwide through Jesus”. Many of the areas they work in present significant challenges to Christians. The reality is that making the choice to follow Jesus can sometimes mean being ostracized, punished, or even killed. Maryam was supposed to be released July 28th, but was kept a few days longer. “Unfortunately the prison authorities said her release papers were not ready,” Peter says. Evin Prison where Maryam was kept is notorious for the terrible conditions prisoners face there. This was the same prison Saeed Abadeni was kept for quite a few years. Maryam already suffered from poor health before entering the prison. She has a heart disease as well as bone and joint issues. Mohabat News shares that during her imprisonment, she was beaten until her leg was broken. She also suffered mentally as well. In protest to the charges, Maryam engaged in a series of hunger strikes which worsened her condition. And while she did secure medical leave on occasion, the courts ended up adding 42 days to her sentencing to account for the time spent out of prison. He explains that Christian activity often arouses charges of acting against national security simply because of Iran’s background. Iran, also called the Islamic Republic of Iran, is the original Islamic State. Because its identity is based in Islam, any sentiment of a different religion is greatly mistrusted. In Maryam’s case, the charges seem to stem from an interrogation that took place back in 2009 that had to do with promoting the Christian faith and hosting believers in house churches. He says often released prisoners like this will flee the country after facing such heightened levels of persecution. Will you pray for God’s guidance and healing in Maryam’s life? If you’d like to get involved with some of what Global Catalytic Ministries is doing, start with praying for the nations they serve in. GCM offers a prayer guide to help you pray more effectively for the specific needs in these countries. To access that prayer guide, click here. Check back in tomorrow as we officially introduce this ministry and learn how God has called them to reach out to the Muslim world. It is good that the Lord warned us that ” with the increase of wickedness the love of most will grow cold, because we know the dangers and must pray against growing cold. When John was in prison he sent disciples to ask Jesus if He was the One. Jesus tells of all His miracles , then He says, ” Blessed is he who is not offended because of Me.” I asked Him what He meant, He answered . He doesn’t do things the way we think He should. He wasn’t going to rescue John. He allows us to suffer. When I read about the severe sufferings of our brothers and sisters I am reminded of His warnings and comments. When I start to grieve to the point of being angry with the Lord, and I start rolling down the hills of “Why, Lord!” I always stop the descent at the cross. He didn’t stay in heaven; He came to suffer for all of mankind. I pray He heals Maryam body, soul, and Spirit as only He can. I pray her testimony will ring out the news throughout Iran and world! It is ringing in my heart right now. Maryam. It is an honor to have a spiritual sister like you, it is very humbling to think about what you have gone through compared to the current freedoms we have in America. I am guilty of taking these blessings for granted and not remembering my family who are going through extremely difficult times in their faith. I have prayed you will be healed and know the Lord is very near to you. A perspective of Christians is to consider that the greatest victims of the untenable rules of Islam are Muslims. Pray for the emancipation of Muslims from a slavery of rules in Islam. Give them the enlightenment that the shed blood of Jesus Christ from the cross has freed them from the burden of sin and that they need only accept the love of the God of Abraham for freedom from a religion of rules to relationship with God that loves them as they are if only that they accept salvation as a free gift that costs only acceptance. Pray for Maryam's physical, emotional, and mental healing after the trauma she faced. Ask God to continue to spread the Gospel in Iran. Pray for strength among the persecuted believers.